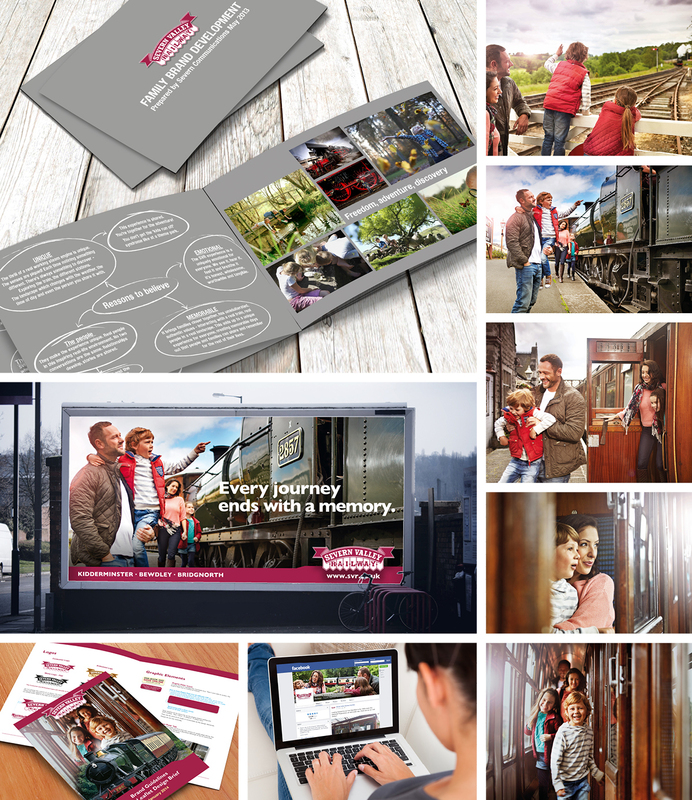 Severn Communications | Just the ticketfor boosting visitor numbers within budget. Severn Valley Railway is one of the oldest and best known heritage railways in the UK, running a 16 mile tourist line between Kidderminster, Worcestershire and Bridgnorth, Shropshire.Our solution? ‘Creating Memories’– it’s a big emotional proposition that conveys a wholesome experience: the chance for families to step back in time, enjoy quality time together and make memories. Here’s a family day out that’s without the distractions offered by corporate theme parks and fast-paced 21st century life. Using bespoke contemporary imagery and art direction to capture the emotive journey – without being hackneyed – we communicated SVR’s authenticity, nostalgia and the allure of escape and adventure. What was the preserve of enthusiasts only became a fantastic family attraction offering a day out unlike any other. Ticket sales took an immediate upturn.